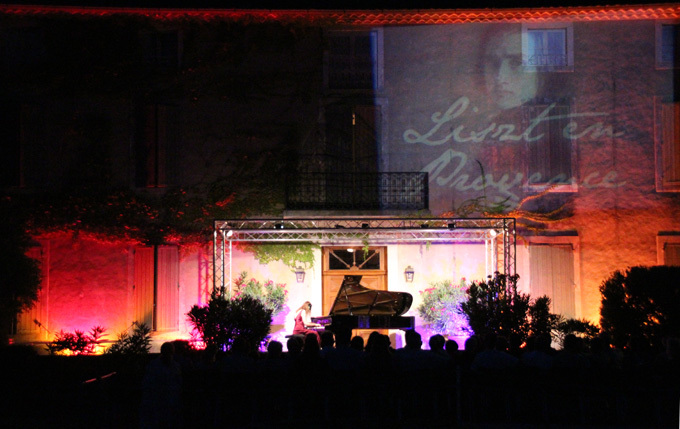 Photo Sortir ici et ailleurs : "Rosemary Tuck piano demonstrated mastery and delicacy"
"Australian pianist Rosemary Tuck gives an ideal performance that often bends towards the classical rather than the romantic. That said, she handles the Weber and Chopin 'nods' with great skill and imagination." "The Australian pianist Rosemary Tuck captures wonderfully the spirit of the music with her "jeu perle", an unforced, lightly flowing touch in which she joins every separate note together like precious pearls on a string." "Australian pianist Rosemary Tuck demonstrates the beauty and delicacy of the filagree melodies in the first movement, and the cadenza, written by Tuck and Alan Jones, glints and glitters. Tremolo passages in the compact second movement dance like butterflies.The third movement sees Tuck tear up and down the keyboard, masterfully managing the scale-like passagework." "Rosemary Tuck's technical poise and genuine feeling for the idiom make a compelling case"
"...a truly remarkable soloist who seems to be coping with Czerny's abundant playing hurdles with complete ease and, moreover, with an individual tone and cantabile quality that makes it bliss." "This, in fact, is Rosemary Tuck and Richard Bonynge's second album of Czerny's works for piano and orchestra, and on evidence of Tuck's playing here, I'd have to say that she is a pianist of formidable talent and quite dazzling technique." "Naxos label star Rosemary Tuck moves like a fish in water in this pyrotechnic repertoire, effectively accompanied by Richard Bonynge leading the English Chamber orchestra." "Pianist Rosemary Tuck plays them with great sensitivity and brilliance, and Richard Bonynge and the orchestra offer strong support." "Tuck makes it clear that one can still have the pleasure of these pieces, which are more developed for the demonstration of virtuosity as an expressive interplay. Of course, there are circus acts - but it's artistry at the highest level, one can not fail to respect. Bravi!" "Australian pianist, Rosemary Tuck, despatches each work with real panache and elan, making light of the often complex pianistic gyrations and fireworks. She is also well able to treat the more serious parts with appropriate, if not necessarily tongue-in-cheek, solemnity." "Tuck shapes the melodies firmly, and she and Bonynge are completely in tune with each other"
"Since Wallace himself was a competent virtuoso pianist (as well as violinist) he developed a flamboyant style that is well-captured in Rosemary Tuck’s accomplished playing. Assertive and energetic readings of forte passages are nicely contrasted with delicate and crisp articulation of fine detail in pianissimo sections. Her handling of intricate filigree and dynamics is a delight to the ear. It is good to see that Rosemary Tuck has joined forces with Richard Bonynge, perhaps the world’s most notable authority on Wallace the composer. They clearly work ideally as a team." "Her splendid performance of thse Celtic Fantasies demonstrate the composer's pianistic virtuosity and in so doing reveal something of a debt to Mendelssohn and possibly Schumann and Chopin, weaving styistically predictable yet impressive variations around familiar Irish tunes." "Rosemary Tuck played Ginastera's 'Argentine Dances' with a sparkling intensity and rhythmic drive; while in the two works by Chopin she revealed the most delicate timbres, like pearls of dew passing through her fine touch." "...ideally deft and scintillatingly assured performances..."
"The piano soloist Rosemary Tuck played with complete success, giving full value to both the poetry and virtuosity in the score."